While football is wildly popular in Africa, tennis is an almost invisible sport. However, this could be changing if new developments in two small West African countries, Togo and Benin, are anything to go by. About ten years ago, several young Africans successfully gained good classifications from ATP, the governing body of men’s professional tennis circuits. Currently, however, there is not one black African among the 500 best tennis players in the world, as tennis enthusiast Boniface Papa Nouveau explains. The Ivorian is an initiator and promoter of two new tennis tournaments in West Africa and aims to develop his favourite sport across the continent. Papa Nouveau works as a delegate for the international transport company Hesnault in Togo and Benin, where he currently lives. Having grown up in France, he discovered his passion for tennis early in his life. At the age of ten, when the French-Cameroonian tennis player Yannik Noah won the Roland Garros tournament, he got his first tennis racket. Since then Papa Nouveau never got away from the sport. Due to a severe arm injury in his youth, he had to give up his dream of becoming a professional player and taught tennis for many years instead. Today he still is an enthusiastic tennis player and hopes that one day an African could become the next world tennis champion. After organising his first successful tennis tournament in West Africa in 2012, Papa Nouveau decided to organise two more in a row in the following year. The first, called Open du Togo, was held from 9th to 14th of December 2013 in Togo’s capital Lomé. Fifty-four players from 12 different countries participated. The second, Open de Cotonou, ran from 16th to the 21st of December 2013 in Cotonou, Benin. With 78 young players coming from 13 different countries, the level at the tournament in Benin was already higher than the previous year. Among the participants were international tennis players such as the French Alexandre Renard, the Colombian Juan Gomez and the Franco-Beninese Alexis Klegou. The latter is the unbeaten winner of all three tournaments since 2012. Wanting to motivate numerous young players to participate in the tournaments, prize money was even handed out to players who only won one single match. The winner’s prize money from the competition in Togo was 700 000 CFA Francs (around USD$1500) and 1 000 000 CFA Francs (around USD$2100) in Benin. As Papa Nouveau explains, he was able to realise the tournaments thanks to the support of sponsors and corporates, but it is a challenge to find funding in general. A sport for the rich? There are questions whether tennis – not being the cheapest of sports – has the potential to ever be really successful in developing regions like West Africa. “If you want to buy equipment in Africa, sometimes a city doesn’t even have a sports shop that sells rackets. If they do, it’s three times the price in Europe,” Frank Couraud, International Tennis Federation’s (ITF) development projects administrator, told CNN. Even though West Africa is one of the poorest regions in the world, Papa Nouveau does not think that tennis is a sport reserved for the rich. 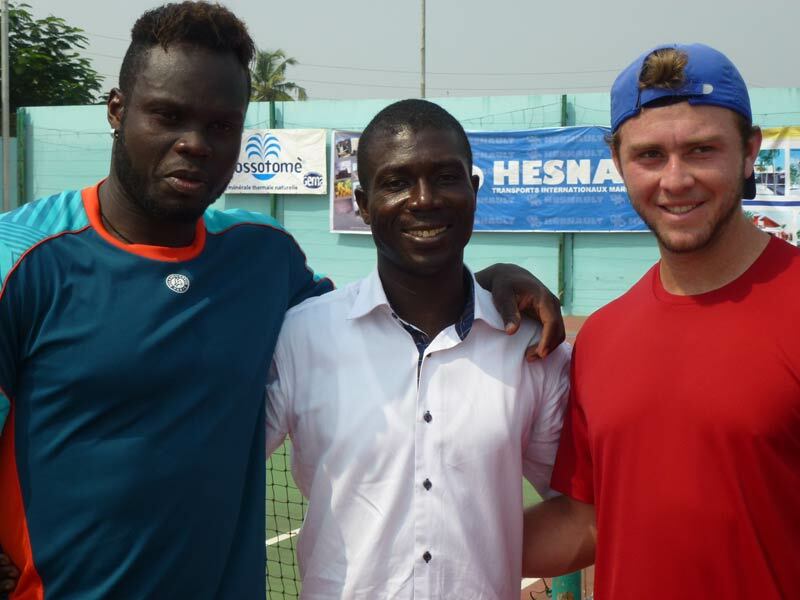 Take Clément N’Goran, one of Côte d’Ivoire’s greatest tennis champions. He grew up in a family of 13 in a poor neighbourhood in Abidjan. As his parents could not afford tennis rackets for their son, he learned how to play with wooden paddles that he made himself. At the height of his career he was the 150th ranked player in the world. Also, many young Ivorians that succeeded in having a good classification were born into poor families. When they played well, the International Tennis Federation supported them. “After the age of 18 it should be up to the state to back them up. But as [the state] does not do so, most of them in the end become tennis coaches”, Papa Nouveau says. There are a lot of young talented tennis players in sub-Saharan Africa but many of them do not get the possibility to further develop their skills on an international level. One of the reasons for this is that there are not enough tennis matches in Africa, Papa Nouveau says. In Côte d’Ivoire, for example, there used to be professional tennis tournaments a decade ago which gave players the chance to win ATP points. Today, national tournament don’t even exist. When young African players finally get the chance to compete professionally, they are not able to give their best because they are not used to playing in a match, Papa Nouveau says. He’s had many requests to organise tennis competitions in countries as Niger, Burkina Faso and Côte d’Ivoire. According to CNN, Africa has not produced a grand slam singles finalist since South African Kevin Curren lost against Boris Becker at the 1985 Wimbledon Championships. 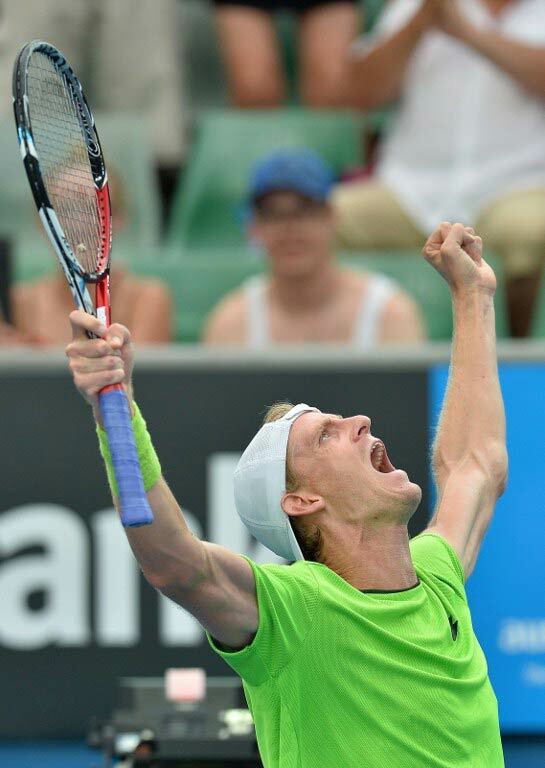 Looking at the current ATP single rankings, there is only one African among the best 100 male players in the world – South African Kevin Anderson on rank 21. You can say as much for the best 100 female players, with Chanelle Scheepers from South Africa being the only African to be ranked 79th. This shows that tennis does not have the same reputation in all African countries. The situation in North Africa is much better – in Morocco, Tunisia and Egypt there are a lot of tournaments, clubs and many young players with good classifications. There are a small number of professional tennis tournaments where players can earn ATP ranking points in Africa. In 2013, Morocco was the only African country to host the ATP Wold Tour – the global professional tennis competition organised by the Association of Tennis Professionals. However other African countries have already hosted the Pro Circuit by the International Tennis Federation, which is an entry level of professional tennis tournaments. Last year, three North African countries (Egypt, Morocco, Senegal) and four sub-Saharan countries (Burundi, Gabon, Nigeria, Rwanda) hosted one of the ITF Pro Circuit’s tournaments. What is necessary for tennis to become more popular in sub-Saharan Africa? According to Papa Nouveau, three things: a big tennis tournament in every African country; tennis federations and governments need to do more to develop the sport; and more tennis clubs in order to initiate tournaments. He plans to organise three professional international tennis tournaments in West Africa this year – one in Côte d’Ivoire, one in Benin and one in Togo. Tanja Schreiner studied journalism and communication in Germany and France. 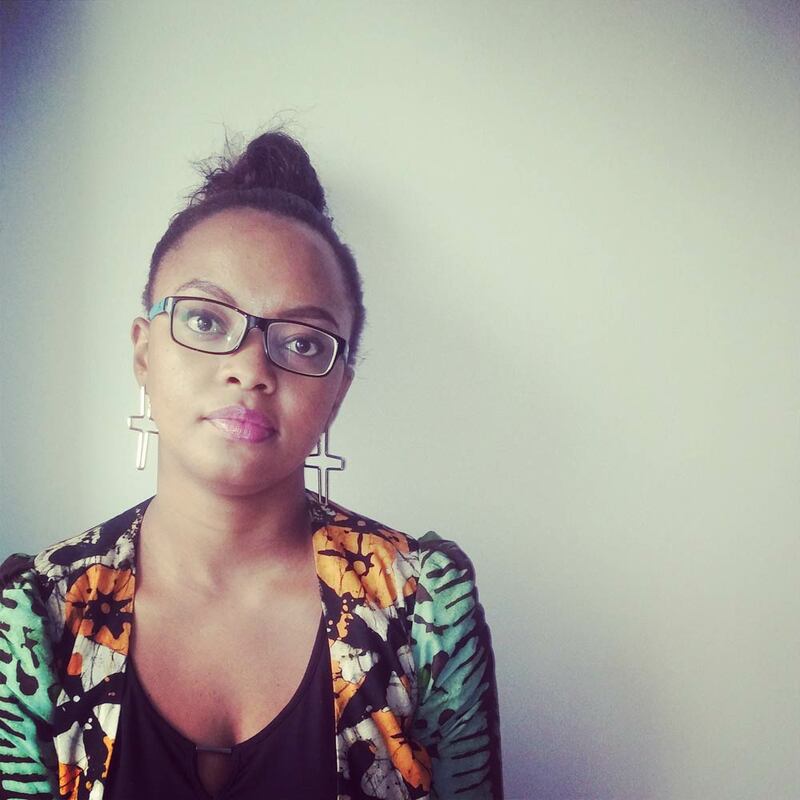 She has worked in several African countries and currently works as a journalist in Germany. Connect with her on Twitter.